Gov. 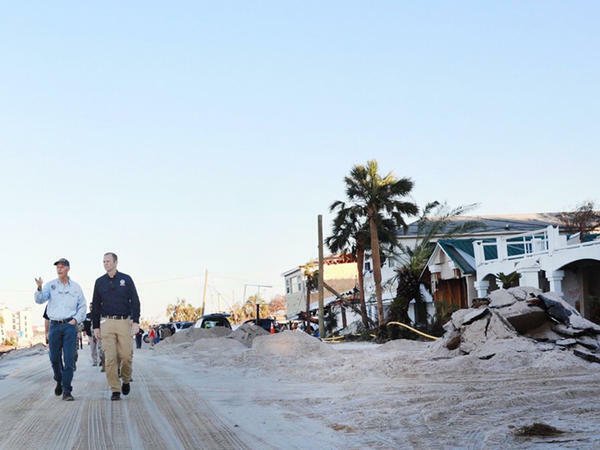 Rick Scott surveys the damage left by Hurricane Michael in the Panhandle in October. State Surgeon General Celeste Philip issued an emergency order Monday that allows certain out-of-state health care professionals to provide services in Florida for another 30 days. “In order to effectively respond to the aftereffects posed by Hurricane Michael, it is necessary to suspend the exception to health care practitioner licensing requirements in Florida for an additional 30 days for health care professionals holding a valid and unrestricted and unencumbered license in any state, territory, and/or district to render health care services in Florida if such health care practitioners do not represent or hold themselves out as a health care practitioner licensed to practice in Florida,” Philip, the secretary of the Florida Department of Health, said in an order. Governor Rick Scott issued an executive order on Oct. 7 declaring an emergency in 35 counties because of Hurricane Michael. Scott’s order allowed agency directors such as Philip to suspend or delay rules that would hinder response to the storm. Hurricane Michael made landfall Oct. 10 in Mexico Beach as a Category 4 storm and caused massive damage as it roared north through parts of Northwest Florida and into Georgia.